Clogged pores are the worst. They look and feel awful and they’re a major pain to clean out, especially if you’re anything like me and have the pores of an orange! I’ve constantly been battling with my skin since before my teens but over the years I’ve found my few holy grail products which give me an instant fix. 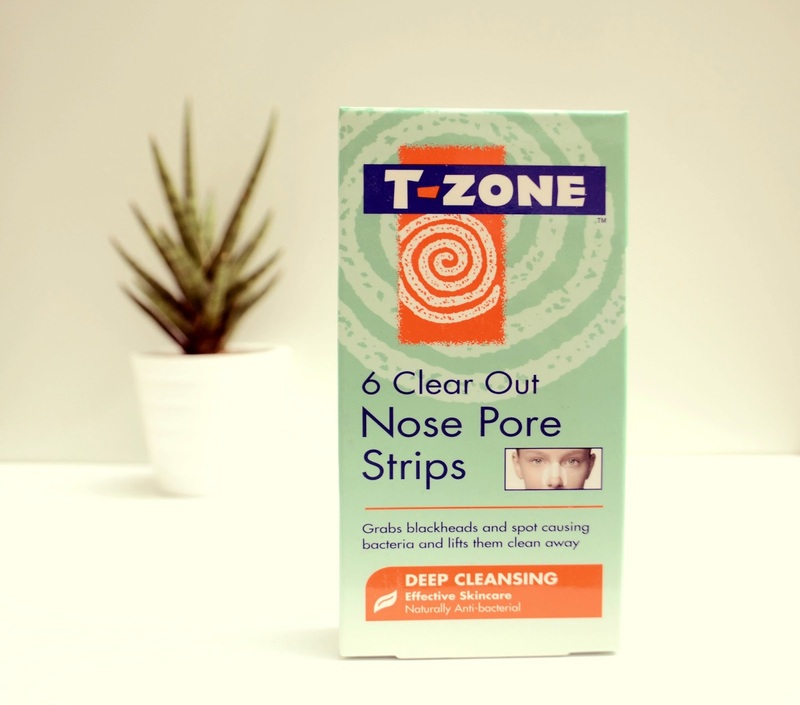 One of my best secret weapons against clogged pores is T Zone Clear Out Nose Pore Strips. During Autumn/Winter, my skin goes through a nervous breakdown or should I said break out. Along with dry, lacklustre skin, my nose pores also get very congested. What’s worse is that it starts off looking like dry skin but no amount of moisturising or scrubbing gets rid of it and putting any kind of makeup on it makes it look really awful. T Zone Clear Out Nose Pore Strips are the only thing that helps to tackle this. T Zone is a cruelty free high street brand which manufacture organic skin care products that help fight spots and acne. Their products use extracts from Tea Tree Oil, Witch Hazel, Salicylic Acid, Eucalyptus, Peppermint and a Multi-Fruit Complex, all of which have been proven to help aid spot care. If I’m honest with you, I’m very surprised at how few brands offer pore strips for clogged pores. Perhaps they’re just not in vogue anymore or maybe they’re not great for your skin because you do have to yank at it a little bit. Still, for me, this is the only thing that works aside from going for a facial. Unfortunately, the money tree in my garden isn’t quite blossoming yet so I’ll have to stick to something a little more purse friendly for the moment. Luckily, T Zone have created just the thing that I need. The Clear Out Nose strips are super simple to use and make no mess at all. You tear open the outer sachet and take out the pore strip. It is stuck on to a piece of plastic film that you peel off and you then place the strip on to a wet nose. It’s very easy to tell which way up it should be put on to your nose but even if you make a mistake you can just quickly put it on the right way round. The nose strip does have a strong smell of tea tree but nothing too overwhelming and it doesn’t linger once you’ve removed it. I like to put water on top of the pore strip to make it completely wet so that I can mould it to the shape of my nose and get it into all the nooks and crannies. Then all you have to do is wait for it to dry. It takes about 10 minutes at most until it’s fully dry and the pore strip will feel quite hard when it’s ready to be peeled off. The next bit is the tricky part as you do have to find a motion that works for you. I like to do short sharp bursts when peeling my strip off because if you’re not firm enough it won’t pull out all the stuff clogging your pores. It does hurt a tiny bit, but no more than when you’re waxing. When the strip is fully off, you’ll be able to see just how much stuff was clogging up your pores. I’m always so fascinated at my results and end up examining it for a good 5 minutes. I was tempted to post a picture of it but it’s probably not a great idea! to buy), they’re not at all expensive. I use them once every few months and they work brilliantly every time I pull them out of my cupboard, even if it has been a while. All in all, I would recommend anyone who has trouble with clogged pores to give T Zone a go. It’s relatively pain and mess free but best of all it’s budget friendly. T Zone are also doing a charcoal nose strip that helps unclog pores that I will definitely also be trying.